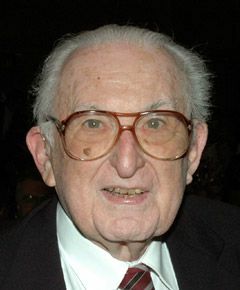 Born in Philadelphia, USA, Julius Fabricant received his veterinary degree from the University of Pennsylvania in 1942 and his BS degree from Pennsylvania State University in 1945. From 1942 to 1943 Julius worked as a meat inspector for the U.S. Department of Agriculture in New York City. After the war he enrolled in a PhD program at Cornell University, where he met Catherine Grenci who he married shortly afterwards. Julius received his MS degree in 1947 under the direction of Professor Olafson and his PhD degree in 1949 under the guidance of Professor Levine. Immediately afterwards he joined the faculty at the College of Veterinary Medicine of Cornell University. He retired in 1985 as a Professor in Avian Diseases. During his long career Julius worked on avian diseases including Newcastle disease, infectious bronchitis, laryngotracheitis, chronic respiratory disease (CRD) and duck viral hepatitis. When Julius and Dr. Levine learned that Mycoplasma gallisepticum was the major culprit in CRD, Julius started a long-time research career studying Mycoplasma. 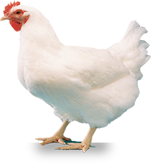 In close cooperation with Dr. Levine, solutions for the control of Mycoplasma infections were developed, such as the prevention of egg transmission by dipping eggs in an antibiotic solution and the use of the F strain vaccine in multi-age flocks. Toward the end of his career he worked together with his wife Catherine on the seminal studies on Marek’s disease virus-induced atherosclerosis. Julius was a founding member of the American Association of Avian Pathologists (AAAP), became a life member in 1987, and received the AAAP Special Service Award in 1988. He has published over 65 papers in peer-reviewed journals. He served for many years on the international study group on Mycoplasma taxonomy. Julius earned a well-deserved reputation at meetings as a “gadfly” (his word). Sitting in the front row he would ask pointed questions concerning proper controls and interpretation of the data. In his free time Julius enjoyed listening to classical music, reading and discussing science or politics. He also enjoyed collecting antiques and stamps. Julius was survived by his children, Daniel and Barbara, Daniel’s spouse Michele and two grandchildren. WVPA thanks Ton Schat for compiling this profile.